Overseeing any team comes with its challenges, let alone a virtual one. In today’s world, traditional teams (physical teams) are becoming antiquated. More and more employers are leveraging the flexibility of remote work to assimilate the right people in creating teams. As result of globalization, virtual teams are a common way for companies to conduct business as they strive to create competitiveness with scalable resources. However, operating in a virtual setting presents collaboration obstacles across globally diverse team members. Therefore, managers must adopt work systems and training programs for virtual teams to be successful. 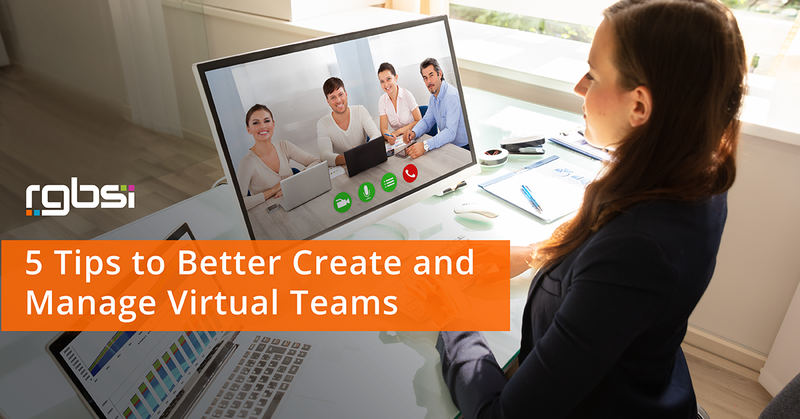 Here are 5 tips to better create and manage virtual teams for high efficiency. A virtual work culture refers to the experience team members’ encounter with your company in a virtual setting. For example, making documents and technology easily accessible by team members alleviates frustration and makes more time for productivity. Even though employees may be scattered across different locations, it is important to make virtual teams feel unified just as a physical team would. As a manager, it is important to promote unity and openness. This includes ensuring the team that you are always available for questions and that it’s never an inconvenience. In addition, recognizing the hard efforts of employees goes a long way. This can simply be done by mailing a card and/or gift as a token of appreciation. Action like so provide a sense of presence without being physically present. Technology issues can get in the way of a team’s ability to collaborate effectively. Technology considerations are important when you have team members working from different locations, on different devices, with different systems. If standard hardware equipment is not provided, selecting software that is universally applicable becomes more relevant. Managers should regularly check in with their virtual teams to ensure all technical systems are running smoothly. Additionally, virtual teams should be trained on all technology and tools that will be used to collaborate and complete assignments. A standard IT troubleshooting process should be established and communicated. For example, team members may be instructed to review a FAQs guide prior to filling out an IT request form for all technology issues. A method must be identified for your IT team to resolve technical problems of remote employees (i.e. through share screens) for diagnosis and resolution. Since virtual team members can’t physically come to their manager’s desk and ask a question, it is important to have multiple channels of communication. With modern technology, many office chat and collaboration tools exist to make it easier for virtual teams to interact. Establish transparent guidelines of communication expectations to avoid misunderstandings. For example, designate certain circumstances to communication modes such as when to send an email vs use the phone vs use a chat application. When operating a global virtual team, differences will exist. It is important to understand that everyone views things differently. Cultural differences are apparent, but individual differences also exist across work style preferences. Build flexibility into processes for your virtual team to accommodate the diverse needs of individuals. As example, delivering information through multiple forms of communication can keep everyone happy as they have options in their receipt of the material. This provides everyone a comfortable work environment. In order to establish a routine, managers should create weekly calls, meetings, and collaboration times. This allows the virtual team to be prepared in accordance with what is to come. Managers can also set up one-on-one time with each individual team member to have more tailored discussions. Providing an agenda that shows different tiers of interaction helps the virtual team feel that similar opportunities present in a physical workplace are available in a virtual setting too. Managing virtual teams comes with its own challenges, but tapping diverse talents can be highly rewarding. Virtual teams are an effective way to leverage the most talented resources around the globe in accomplishing corporate objectives. When managers take the initiative to create a plan of organization, it helps ensure that these types of teams are efficiently running, continuously productive, and positively engaged with your company. 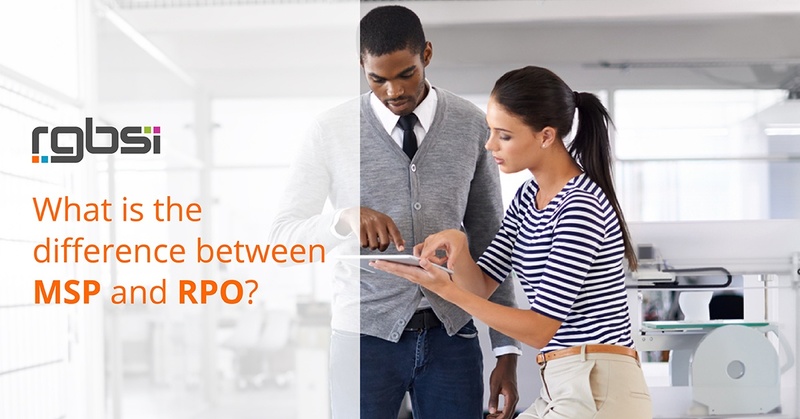 What is the difference between MSP and RPO?